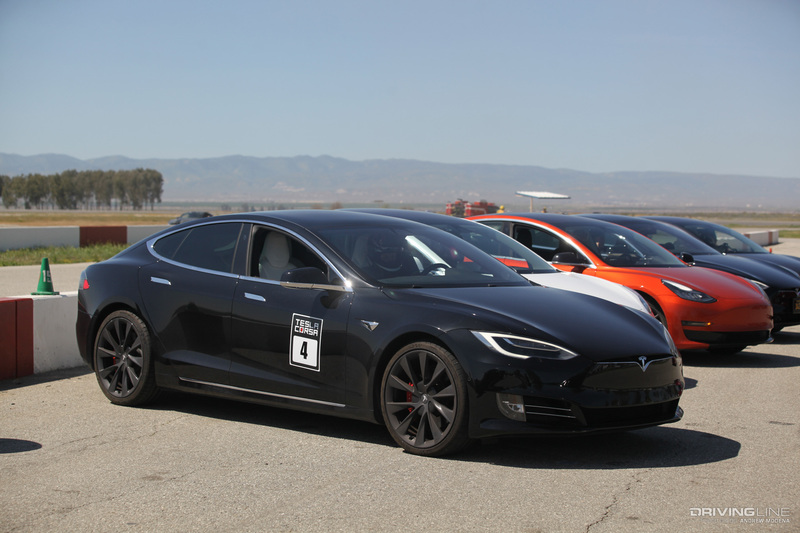 We recently went out to the third-ever Tesla Corsa, a Tesla track day hosted by Unplugged Performance, in partnership with Speed Ventures. 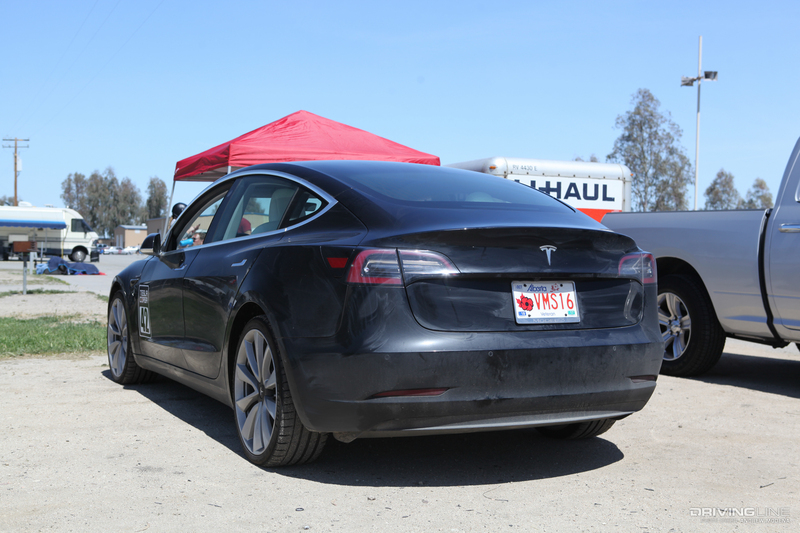 Over 40 Teslas from as far as Alberta, Canada, congregated to central California's Buttonwillow Raceway. 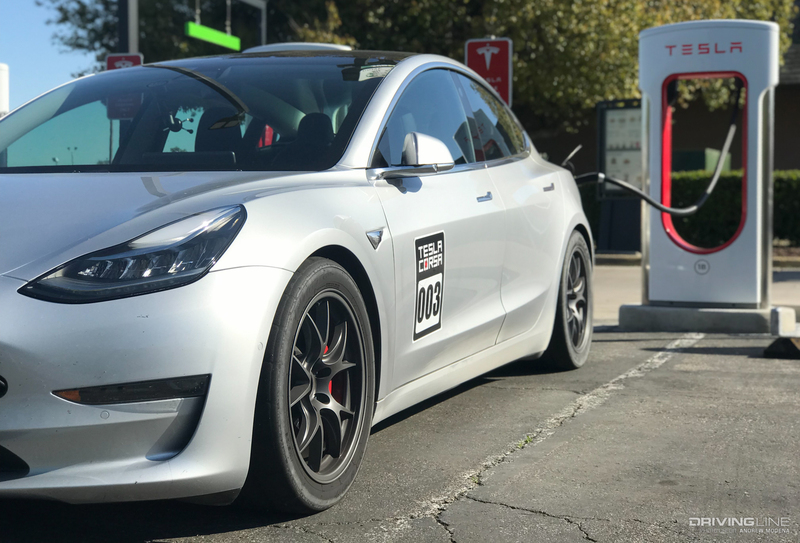 Tesla Corsa was created to let Tesla owners take their daily drivers out to test their limits in a controlled environment and have fun amongst other Tesla owners. 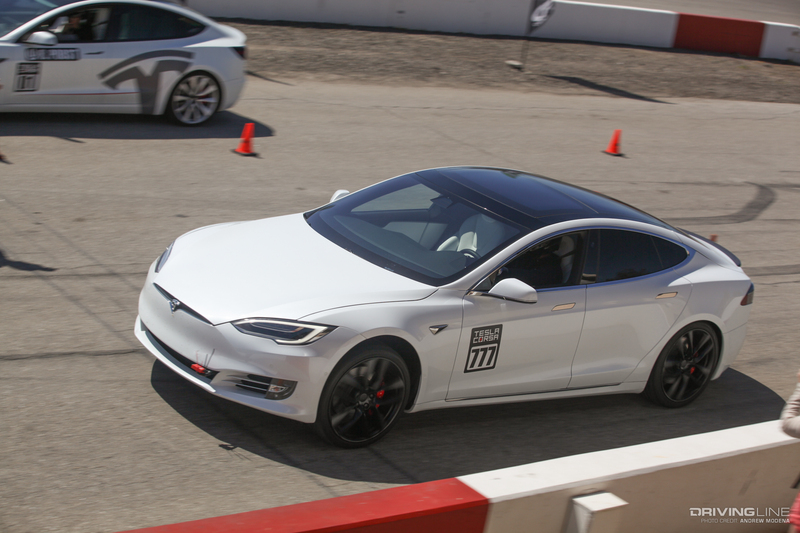 Here's what you can expect at a Tesla track day. 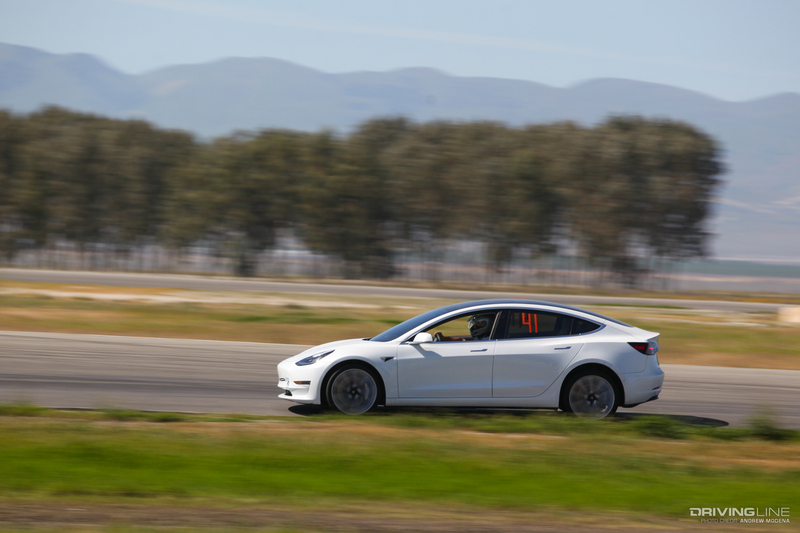 Who Would Track a Tesla? 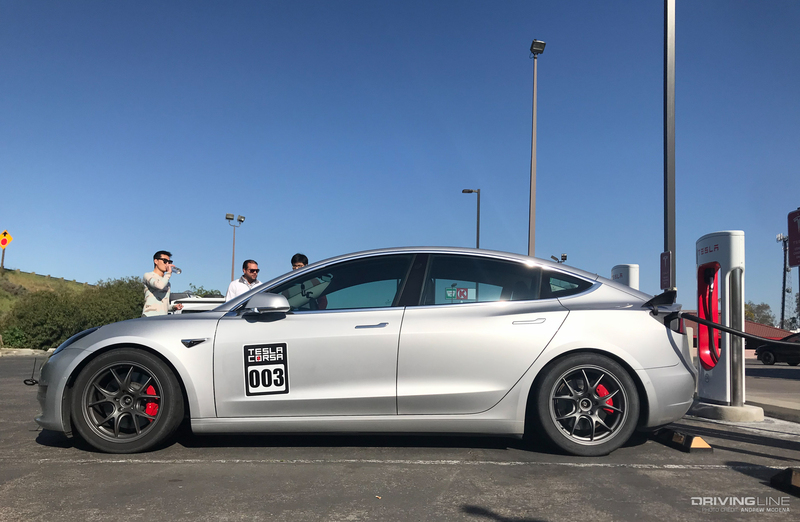 No one buys a Tesla as a weekend or track car, so why track a car that was designed for commuting? Why not? 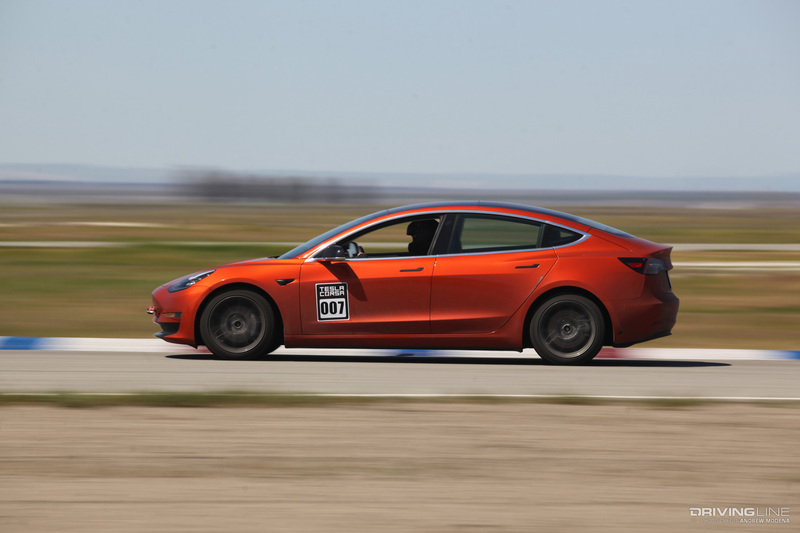 Teslas are known for their straight line acceleration, but that doesn't mean they can't do well on the track. 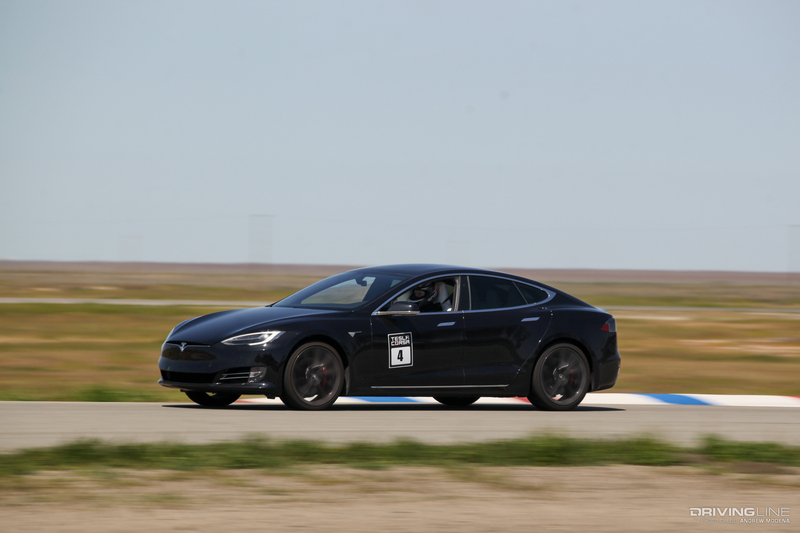 Tesla performance is on par with many high-performance vehicles and the low center of gravity gives them good handling characteristics. Many owners I spoke with already had dedicated track cars like a 911 GT3 or S2000. 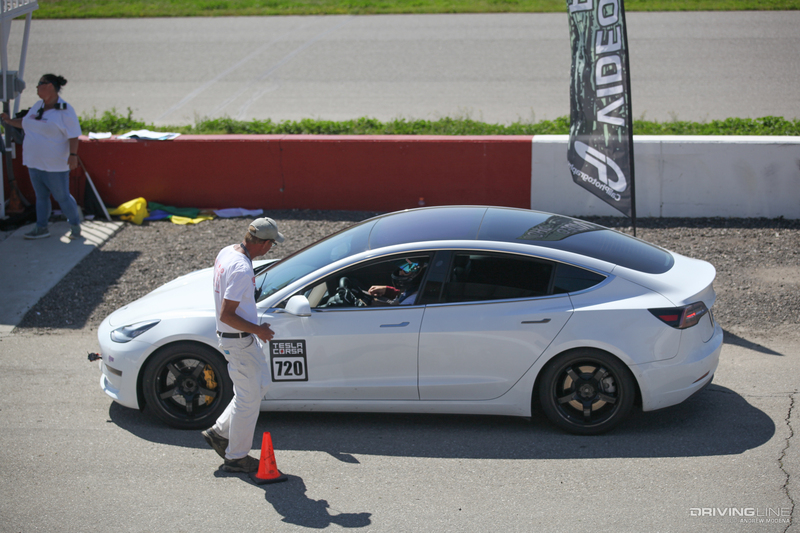 Tesla Corsa gave them the perfect opportunity to see how their daily driver performed at the track. 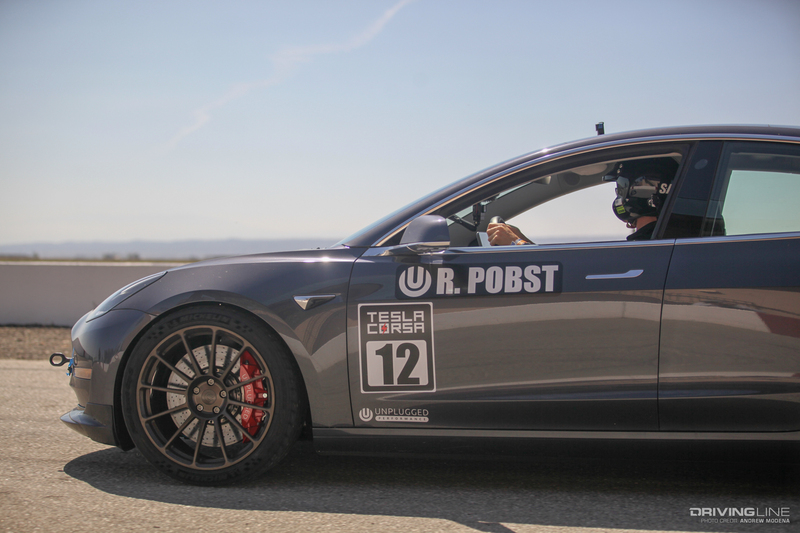 Experience ranged from first timers to professional drivers like Randy Probst, fresh from setting back-to-back production car lap records at Road Atlanta in a Porsche 911 GT2 RS and GT3 RS. 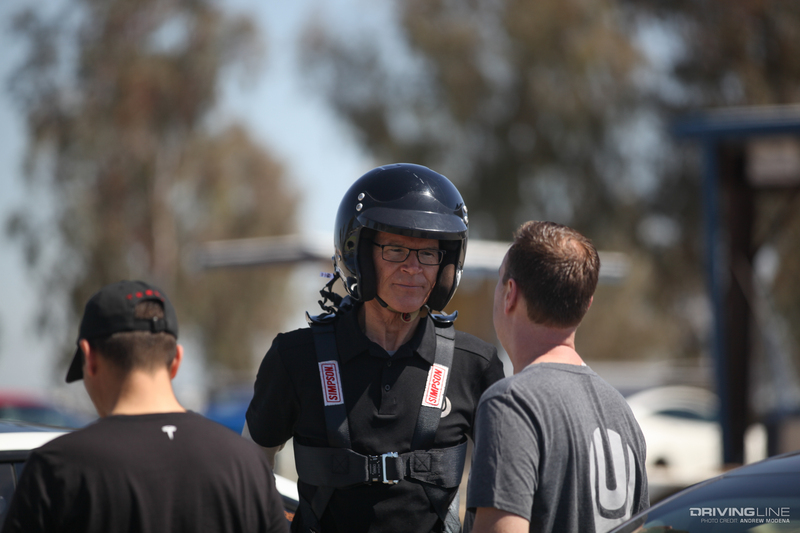 Unplugged Performance brought Randy to the event so that he could give drivers some pointers and get behind the wheel some of the Teslas. 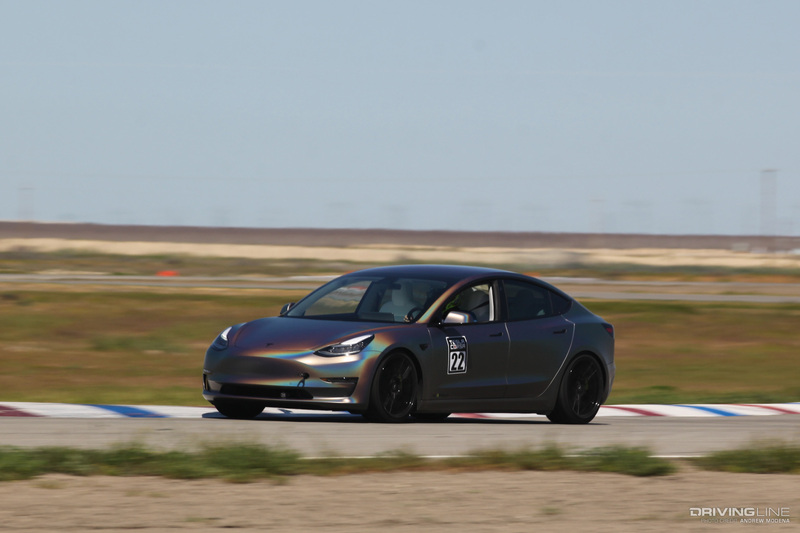 How Do You Prep a Tesla for a Track Day? 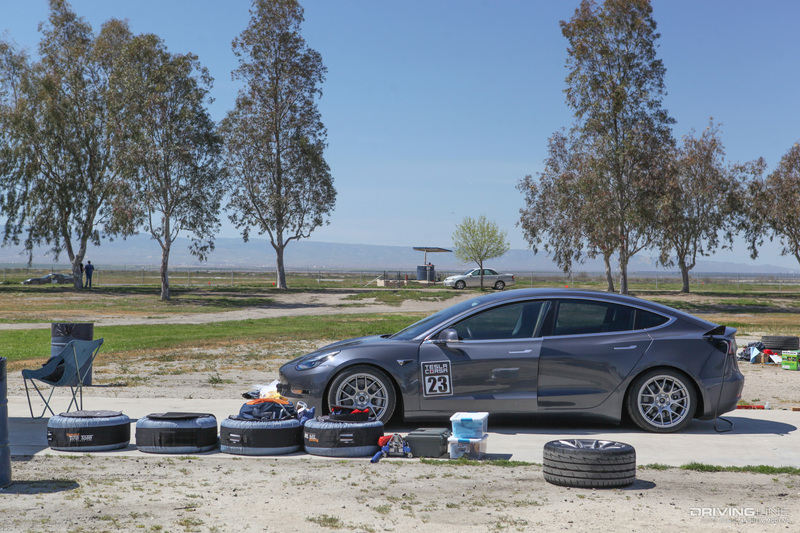 A Model 3 with the Performance Upgrade Package (20-inch performance tires, bigger brakes, lowered suspension and Track mode) is already pretty well prepared for a track day. Most drivers, regardless of spec, had at least upgraded their brake pads and fluids. 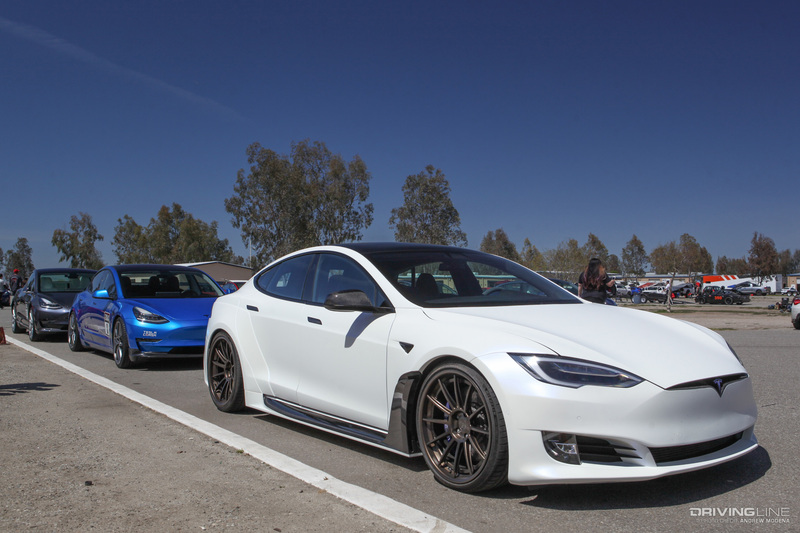 Other cars cars were fitted with parts from the growing Tesla aftermarket. From sway bars and lowering springs to carbon ceramic brakes, coilovers, dry carbon fiber body parts and Nitto NT05s, owners were eager to finally test their new mods out on the racetrack. 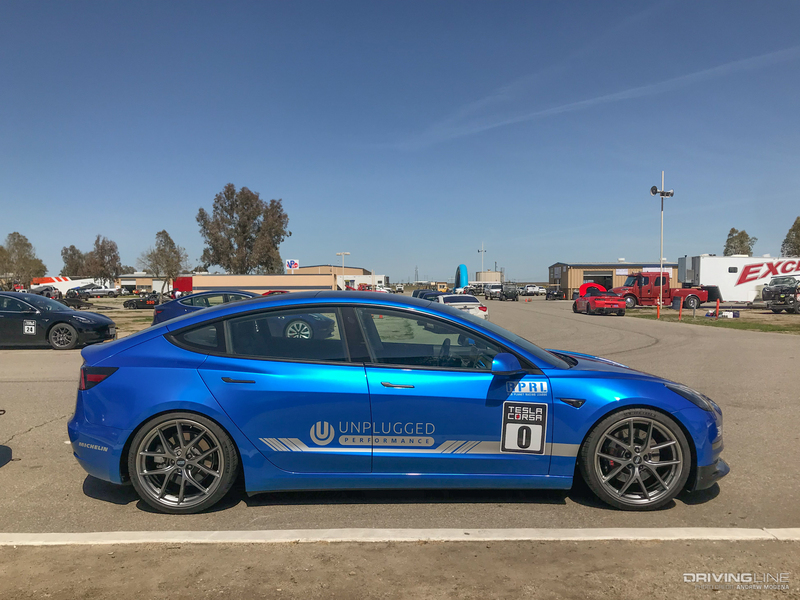 Unplugged Performance, event sponsors and premiere manufacturer of Tesla aftermarket parts, brought out their Model 3 demo car and one of two S-APEX carbon fiber widebody Model S's. 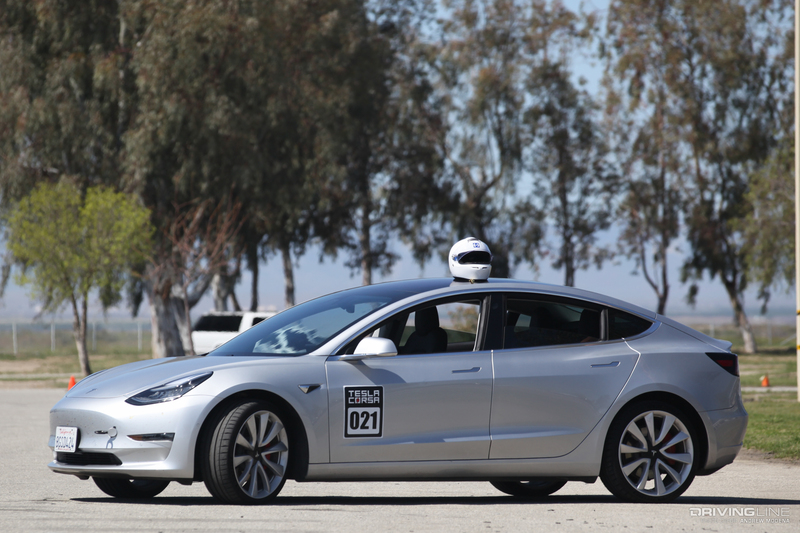 How Is Tracking a Tesla Different Than Any Other Car? Obviously, the main difference is the lack of an internal combustion engine. No engine means no need to bring extra bottles of oil and special tuning. 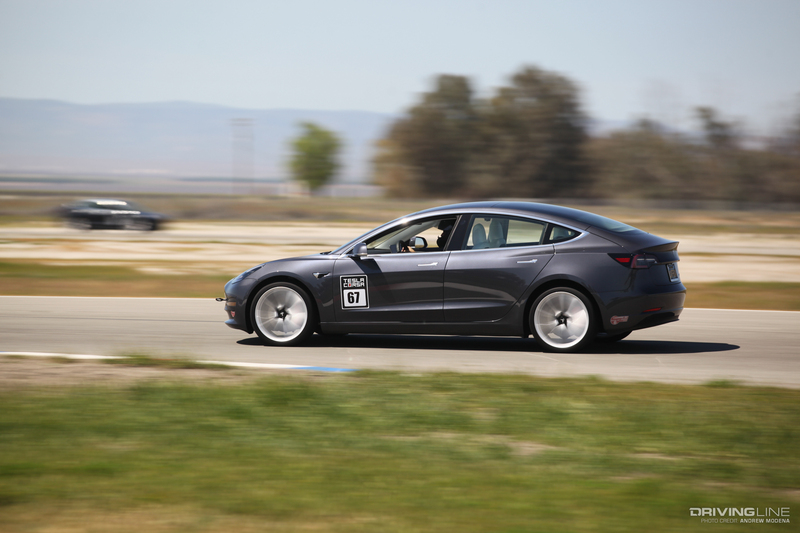 If used wisely, regenerative braking (which happens whenever the accelerator is not depressed, slowing the car and charging the batteries) can be used to gradually slow the car down going into a corner without losing too much speed. 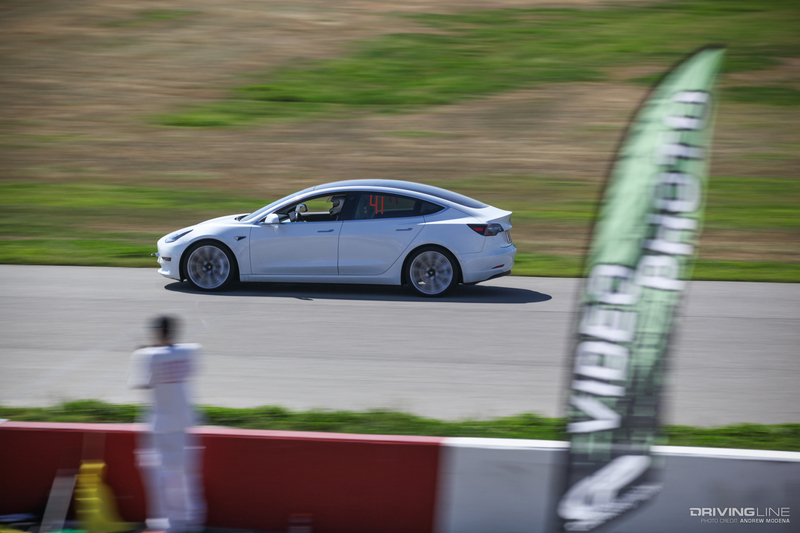 Because of the instant torque, an EV exits a corner much faster than many other cars on the track. You can carry the same speed and acceleration up a hill because an electric motor is unaffected by changes in elevation. Cooling isn’t as much of an issue in an EV. No need to let extra air into the engine or pop the hood after a session to cool it down. The weirdest part about the event is the lack of engine noise. Tesla sessions are the quietest ones. You can hardly tell they're on track. You'll only hear the "woosh" of cars passing. Slightly modified cars with experienced drivers were clocking times around 2:05. 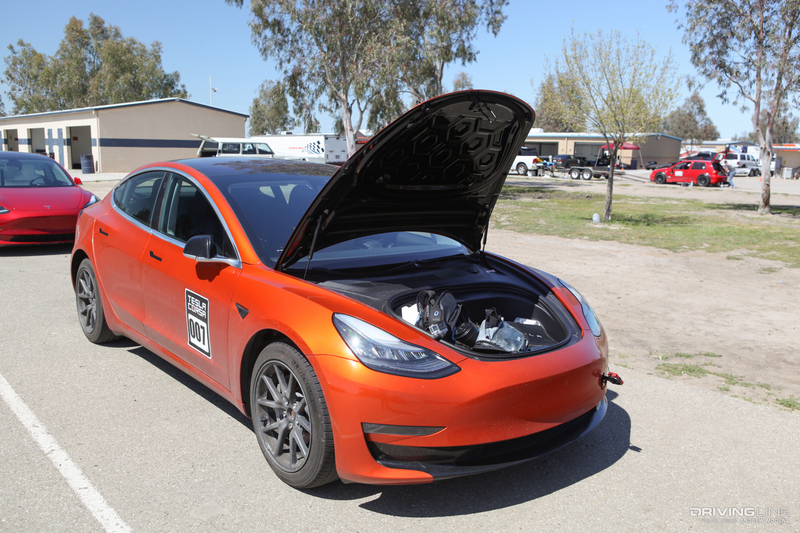 Randy Pobst was able to record a 2:01 in a stock dual motor Model 3 and 1:57 in a modified Model 3. To put things in comparison, my PB at Buttonwillow is 2:09 in a mildly modified WRX. A 911 GT3 will round the track in about 1:56. One issue with EVs is charging. Like gas, the harder you drive, the more energy is consumed. 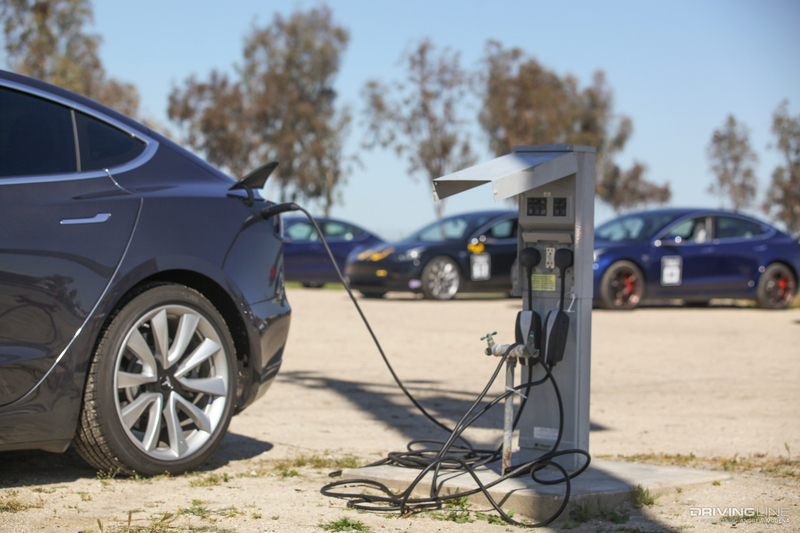 Unfortunately, charging isn’t as convenient or fast as filling up. 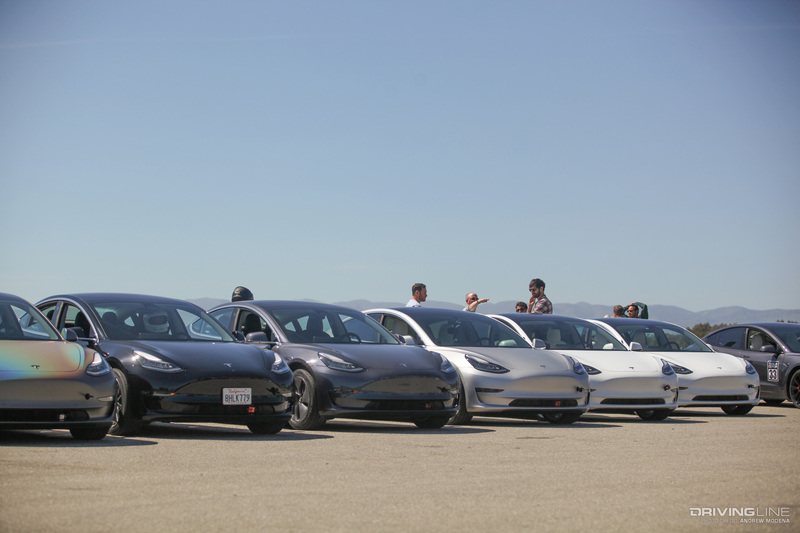 Drivers at Tesla Corsa were reporting a 30-percent range loss after a 15-minute session. To put things in comparison, a 15 mile drive may lead to a 5-percent loss of range. 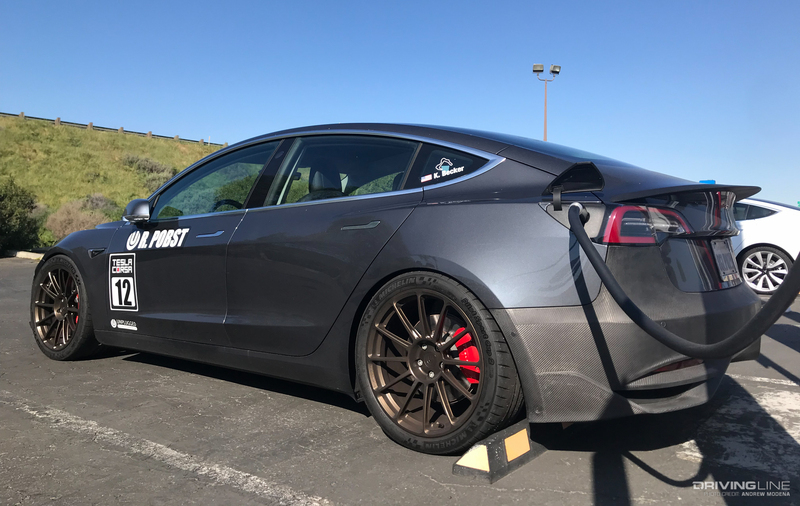 If you want to track your Tesla, how do you charge? 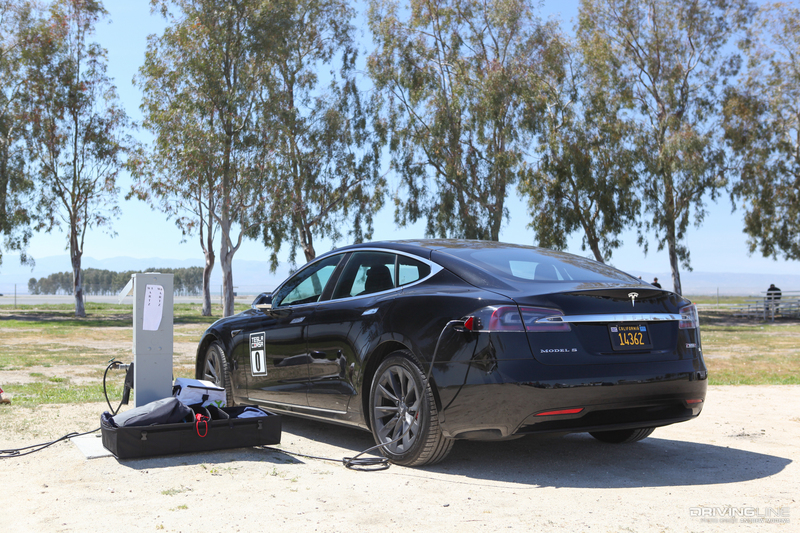 You can charge a Tesla from a NEMA 14-50 outlet, which is the same kind of outlet used at RV camp sites. Many racetracks with on-site camping have outlets for RVs. Plugging into a NEMA 14-50 outlet adds about 30 miles of range per hour. 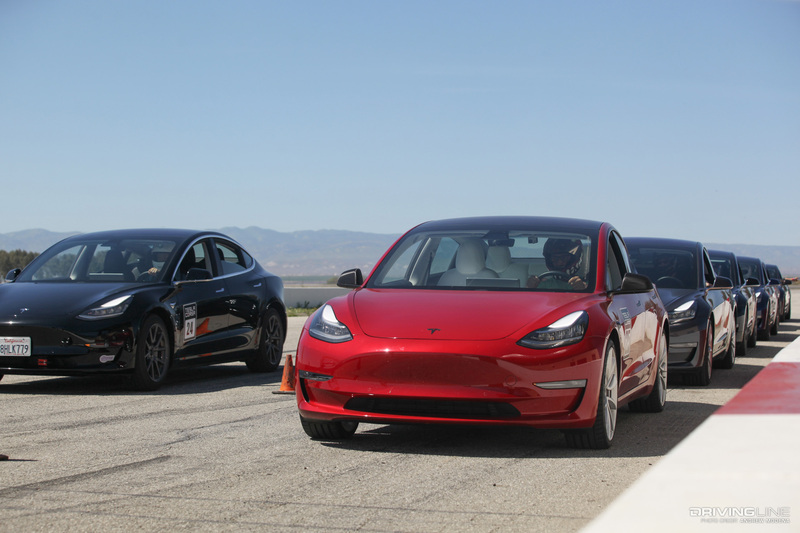 On a rear-wheel drive Model 3, you can go from 20 percent to 80 percent in about 2 to 3 hours. 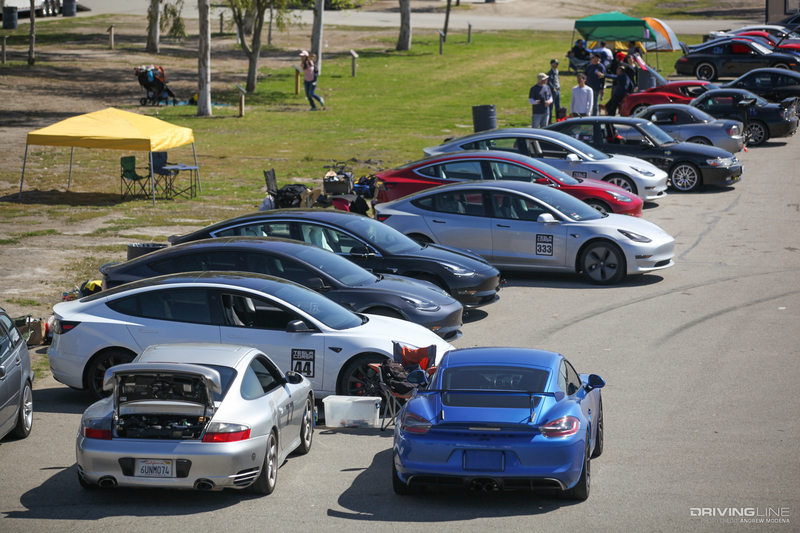 The most convenient option, as it is the fastest, would be Supercharging between sessions. 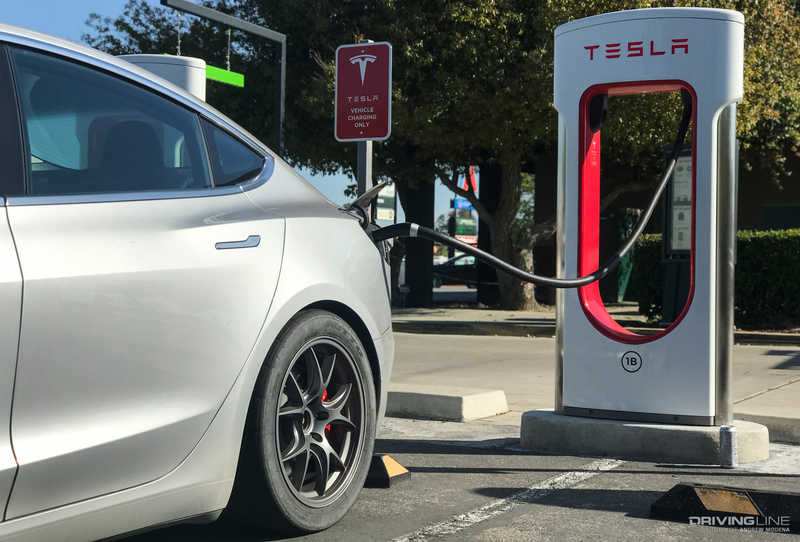 There are nearly 1,400 Supercharging stations with over 11,000 Superchargers across the United States. 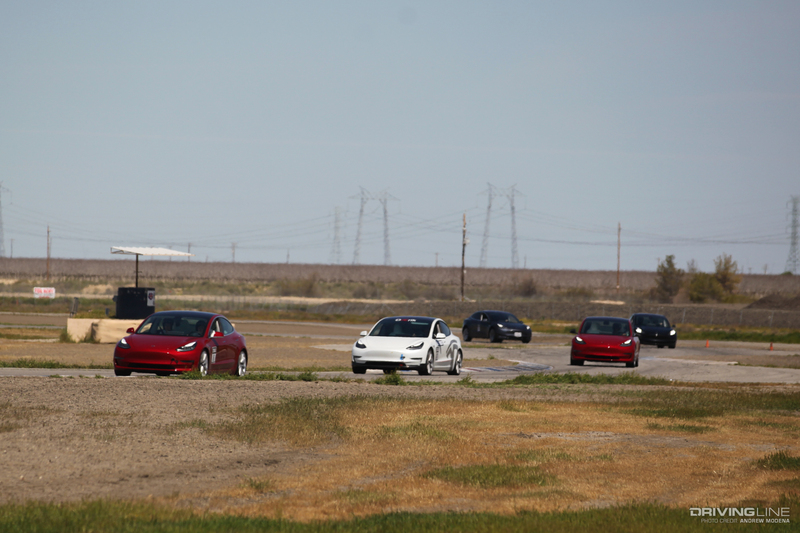 Luckily, there is one station with 10 stalls just 15 minutes from Buttonwillow. 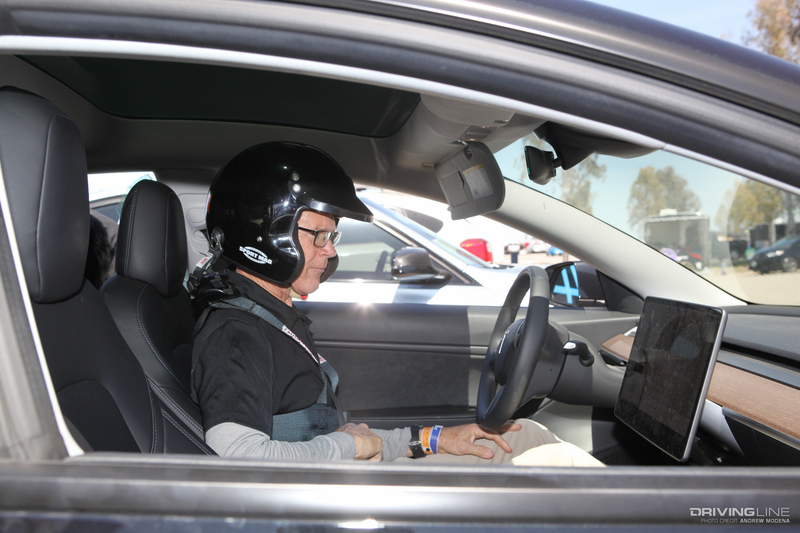 This allows you to get a couple of laps in, drive to the charging station, grab something to eat, head back, do some more laps, then charge up and take a break before heading home. 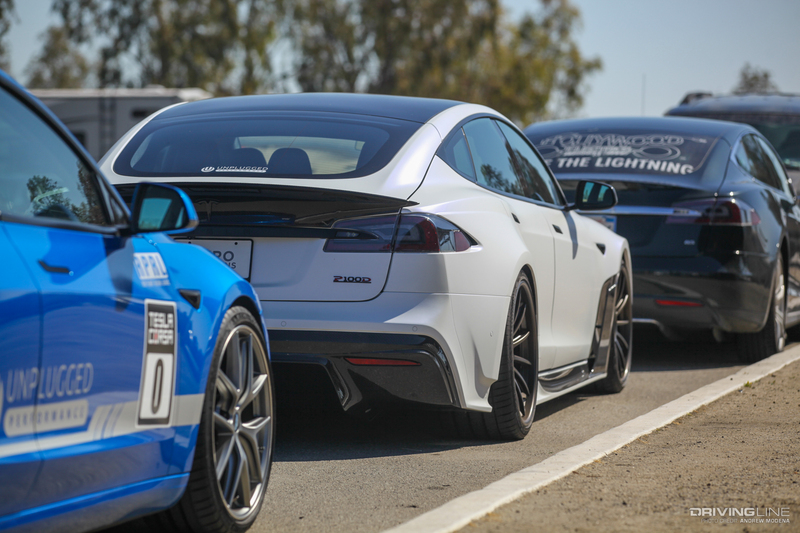 What's Next for Tesla Track Days? 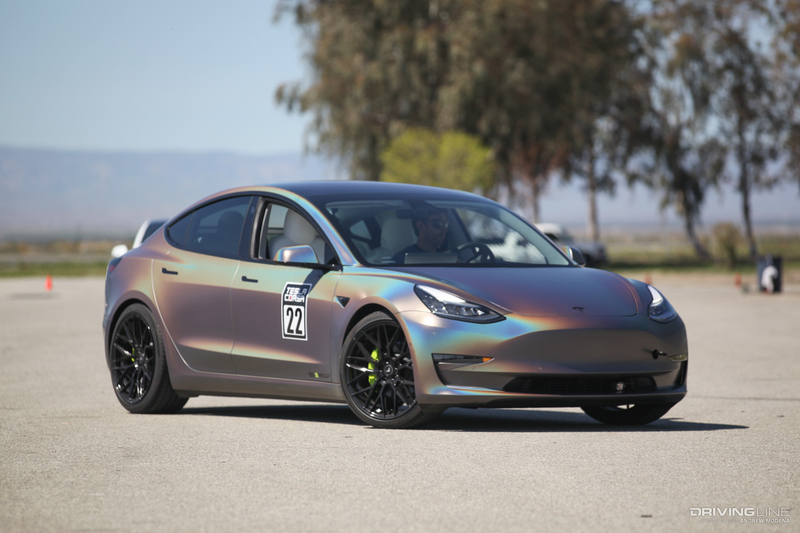 With over 150,000 Model 3s sold in less than a year, a growing aftermarket and race cars like VW’s I-D R, it's inevitable to see more electric cars at the track and lap times dropping. 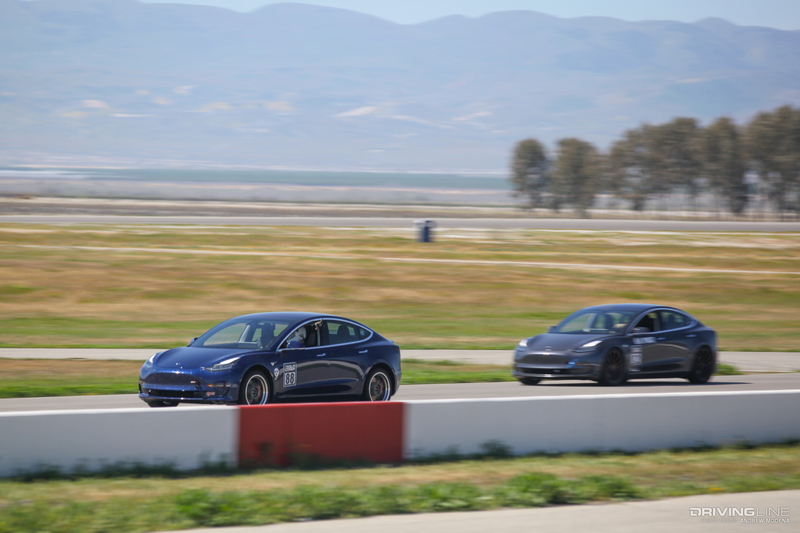 A few attendees already had a handful of track days with their Tesla under their belt, and some of the first-timers I spoke with were already hooked and hoping to drop their lap times for the next Tesla Corsa. 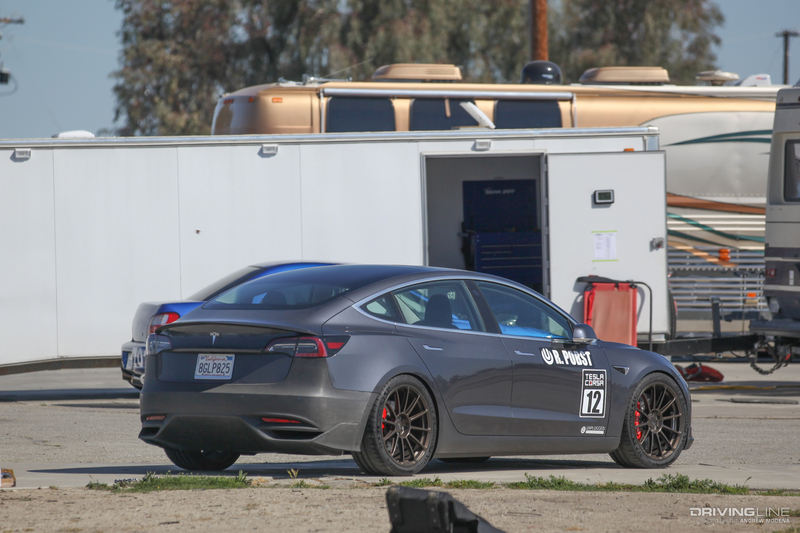 Will we see stripped and caged Teslas? In due time. 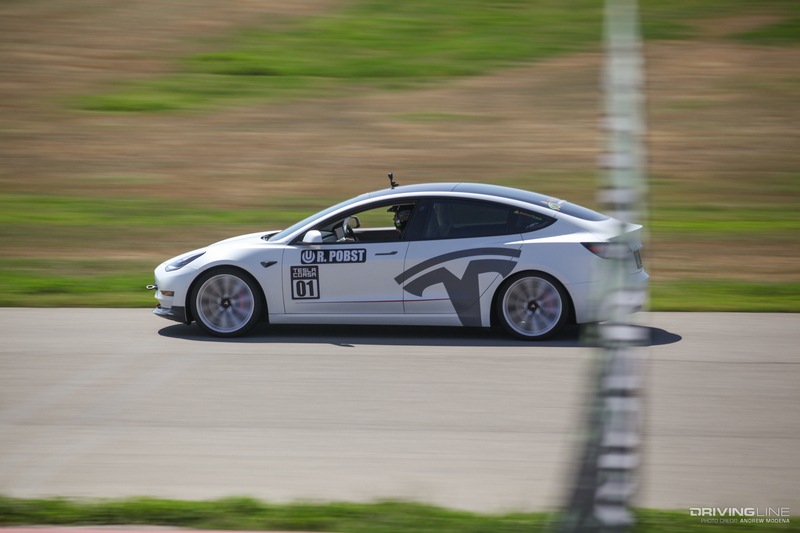 Tesla Corsa is just the beginning of EV track days. 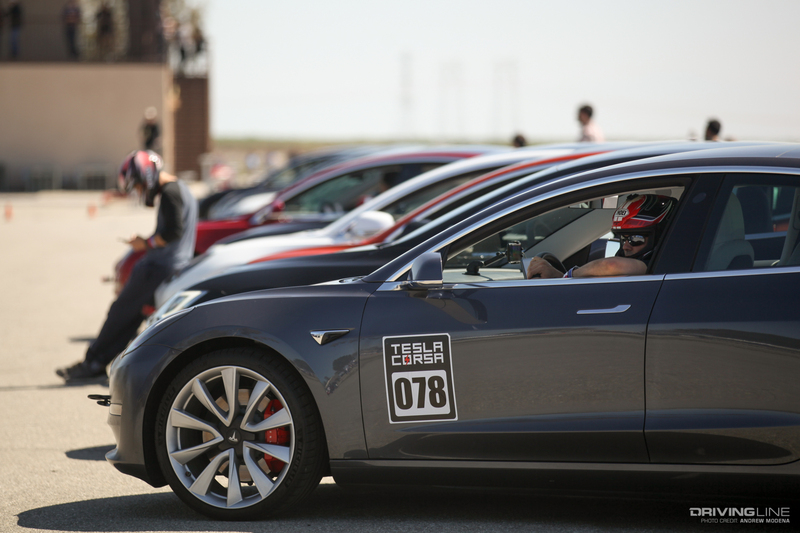 Tesla Corsa plans to expand to other race tracks across the country...as long as you can charge nearby. 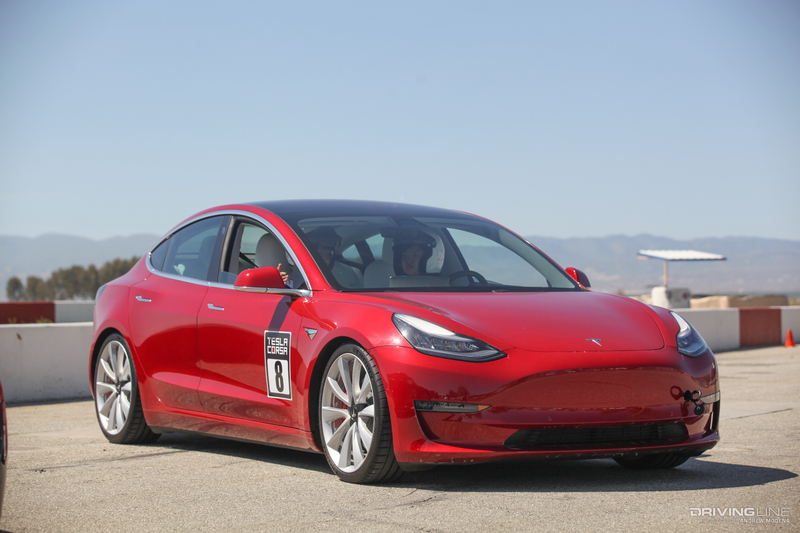 Want to know if the Model 3 is worth it? Read our review!